Last week we learned from Milwaukee Journal Sentinel reporter Cary Spivak that the administration of Gov. Scott Walker paid the Michigan law firm of Dykema Gossett $2.2 million to advise on the Menominee tribe’s application to open a casino in Kenosha, which Walker ultimately rejected. The newspaper got the cost figure through an open records request. Spivak ever-so-delicately raises the question whether Walker hired the firm in order to delay giving an answer until after his reelection as governor. I say delicately, because Spivak never explains to readers why Walker would want to delay his decision until after the election: because it might gain the governor campaign donations, either from supporters of the Kenosha casino, or from its opponents, the Potawatomi casino in Milwaukee. To which the obvious follow-up would be, why then didn’t the governor use the $2.2 million worth of information from the consultants to make his decision? Because he clearly ignored their advice. Dykema Gossett subcontracted with Nathan Associates, a California consulting firm it paid $473,808 of the cash to study the economic impact of the proposed Menominee casino. Alan Meister, a Nathan partner, is the author of the annual “Indian Gaming Industry Report,” which regularly reviews the finances of tribal casinos. His company concluded the Kenosha Casino would have a very positive impact, creating an overall gain for the state of 3,900 jobs, $192 million in increased wages, and an added $601 million in overall economic output. The casino would have “strong, positive economic and fiscal impacts on Kenosha County,” and also on Menominee County, “given that gaming profits would be sent by the proposed casino to the Menominee Tribe, which is located in Menominee County,” the analysis concluded. 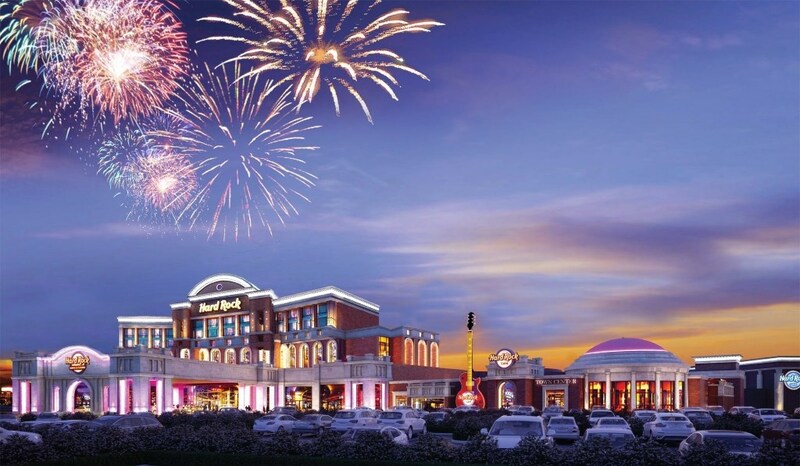 The report did find the new casino would cannibalize some business from other casinos: it estimated that the Potawatomi Casino would lose 22 percent of its business and the Ho-Chunk Casino in Baraboo would lose 16 percent of its business. But the positive impact for Kenosha and Menominee counties would “overwhelmingly outweigh the negative impacts in Milwaukee County and the Ho-Chunk nation counties,” the study concluded, leading to the overall gains in jobs and economic output. The other issue was the legal one. Would approval of the Kenosha casino result in a suit by the Potowatomi, claiming its earlier contract with the state would require reimbursement of any losses due to the new casino? Walker claimed by rejecting the Kenosha casino he was protecting the taxpayers from losing millions and blamed it all on a supposedly lousy contract agreed to by Democratic Gov. Jim Doyle. But Walker’s high paid legal advisors at Dykema Gossett made it clear that wasn’t true. Its attorney R. Lance Boldrey concluded that if the Potowatomi won the dispute, it would then be ruled by an earlier 1998 contract, which means it would lose nearly 2,000 slot machines and could also open the door to getting its contract cancelled by 2019. “It does not appear to be in anyone’s best interest to pursue a remedy that results in a reversion to the 1998 compact,” Boldney wrote. When Walker made his decision rejecting the Kenosha casino, he declared that he was doing this to avoid lawsuits that could expose the taxpayers to risk. Yet in his press release, he offered not a word about the 23-page report he received from Dykema Gossett concluding the state would likely prevail on all such claims. Walker instead referred to advice he received from Huebsch, then Secretary of the Department of Administration. Huebsch is not a lawyer, and doesn’t even have a college degree, having dropped out of Oral Roberts University before graduating. The Dykema Gossett report was actually delivered to Huebsch, who wrote the cover letter to the report. Yet his memo to Walker on the situation also never mentioned the report. That $2.2 million spent to assure an “exhaustive process” resulting in the most “informed decision” was quickly put aside. The decision by Walker offers no legal opinion to the contrary, ignores the report by his outside legal counsel, and is based only on the opinion of a college dropout with no legal training. It’s hard to escape the conclusion that presidential candidate Walker rejected the new casino because he was currying favor with Iowa conservatives who issued a statement warning him that they opposed gambling and any new casinos. If that meant the taxpayers wasted $2.2 million on an expert report that was quickly moth-balled, so be it. Scott said during campaign that he would not allow any net increase in gambling in state, he like us, is opposed to gambling. He also said that the tribes must all agree. He kept his promise, unlike Doyle, Barrett who made all kinds of promises and screwed us badly. Conservative Digest, if Walker was set on not permitting any gambling expansion why waste $2 million tax dollars on studying a new casino proposal? That makes conservative sense? Here is a point in this proposed casino project that no one has ever been able to give me an answer for “Why should the Menominee be allowed to build a casino on land in the heart of the acknowledged, by treaty, Potawatomi homeland? Treaties often did not respect tribal “boundaries” — and many Menominee (and other non-Potawatomi) resided within boundaries of what currently is Milwaukee, its very name meaning (in many translations) a gathering place by the waters, one of many ancients site for trading by many tribes. That intriguing question aside, Badger Bob’s question is spot-on the point of Bruce Murphy’s excellent research and analysis. Either the gov could go with his gut (or with his campaign calendar, whichever) and save a state supposed in budget crisis from expending more than $2 million, or he could listen to the expert legal advice for which we-the-taxpayers expended more than $2 million. You can’t have it both ways, WCD. And to again put $2.2 million in the context of the supposed budget crisis, that is almost nine times the quarter of a billion bucks cut from the UW by the college dropout. The tally of UW positions already lost — with fewer and larger classes next week, with fewer financial aid staff and residence hall staff and library staff and more as students hope to return and not drop out — is more than 1000, with far more cuts ahead. These cuts to campuses that may mean more college dropouts — the opposite of what our state economy needs — could have been averted by even a tenth of the budget cuts to the UW. The rest could have averted cuts to K12 schools and more — and, indeed, could have averted the supposed budget crisis for the state, returning much more than five bucks to each of us for the sake of a now-failed presidential campaign. WCD – You and others continue to spout off the nonsense that Doyle made all these promises to the Potawatomi and “screwed” the state, yet you completely ignore all the evidence to the contrary. Another paragraph is added to the compact in the same section as the exclusivity language cited above. The new language changes the distance to 30 miles from a Milwaukee casino that the state cannot, without agreement from the Potawatomi, agree to put another casino. Further, it says that the agreement shall not apply to land south of Highway E and east of I-94 in Kenosha County, an apparent reference to Dairyland Greyhound Park. This language appears to anticipate a Kenosha casino. In fact, this agreement was signed less than a year after Kenosha County voters approved that casino proposal in a referendum. This raises the question of why Gov. Walker and his administration have so often referred to the conditions laid out in the 2003 amendments but have almost completely ignored the 2005 amendments.